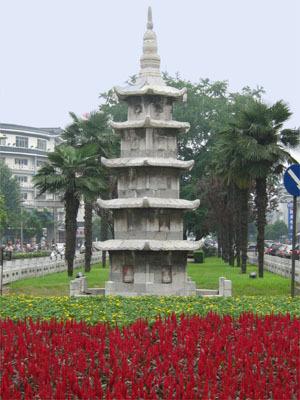 This beautiful little carved stone pagoda stands in a traffic island near the central intersection of Yangzhou in Jiangsu Province. 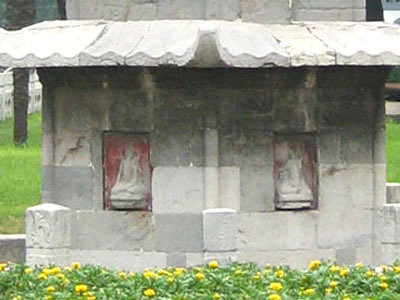 It has five stories and six sides, with (once upon a time) a total of 24 finely carved Buddhas. It was repaired in 1964. The pagoda is all that remains of Mulan Temple. For this reason, it is generally refered to as "Shi Ta Si": Stone Pagoda Temple.